“For a century we labored to settle and to subdue a continent. For half a century we called upon unbounded invention and untiring industry to create an order of plenty for all of our people. That half century has now passed and much of the nation has failed to meet the challenge of the Great Society and some places, like the bulk of West Virginia, has regressed. 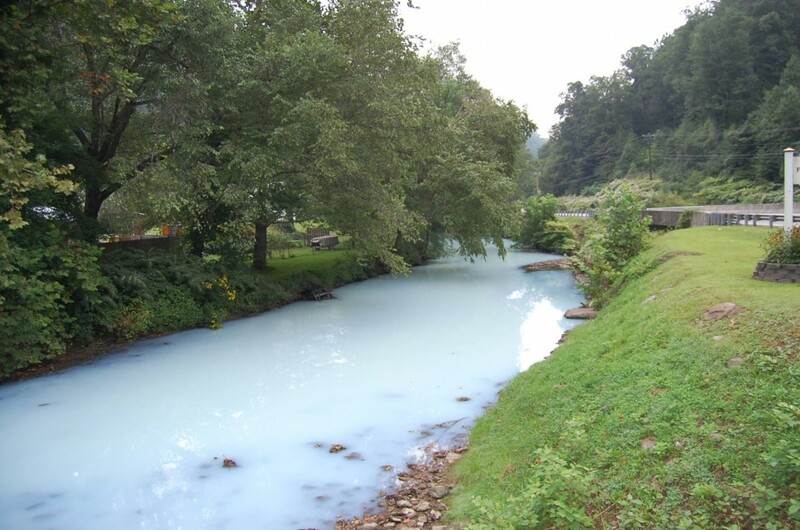 As I shared in by latest article, The Family Afterward: West Virginia Four Months After The Freedom Industries Chemical Spill, even something as basic as clean water is no longer guarantee, as the hundreds of thousands of West Virginians who have been running tainted water through their taps for the past 4 months can attest. And yet, there has been an almost complete absence of media coverage over this ongoing violation of our basic freedoms since the spill first happened. It has been up to us, the citizen journalists, the muckrakers, the advocates the passionate bloggers, to keep this story alive–to remind the rest of the country that “3rd world” problems are running rampant in parts of our “1st world” nation. This story will not die. This story cannot die. Read it. Share it. Keep it alive. Scroll below the fold to find out more on how you can bring this travesty the attention it deserves. For those who have not read it, the article was essentially a portrait of one West Virginia family who had been greatly effected by the massive coal cleaning chemical spill and who was kind enough to let me into their lives. Hardest hit by the spill was Kami, whose youth and vitality was snatched from her via a series of severe health complications that both the family and myself are 99.9% sure were in some way triggered or exacerbated by the high concentration of pollutants in the area’s water supply and overall environment (for their part, the fine folks over at The Cleveland Clinic are pretty well stumped). What I am asking of you is a small portion of your time: 5 to 10 minutes to read the article (if you haven’t already); 5 minutes to share it to your friends, family and followers. Share The Family Afterward on Facebook and on Twitter; share it through e-mail and LinkedIn and on Daily Kos. Let King Coal and all of the bought, sold and spoken for politicians in Charleston and in Washington know that we will not tolerate a country where citizens are denied access to a right as basic to life as clean water. “Through me is the way to the doleful country. I don’t mind you using it but please properly credit it. http://www.acheact.org see the science of mountaintop removal. It is killing people. great pic of a wretched catastrophe. thanks for capturing it so that those of us in other places can do what we can. That is a fantastic picture. It hurts my heart that this is what is happening in this beautiful setting. Virginia has my full support from Washington State and I’ll be certain to keep speaking up and talking to people for you all out there. We’re in WEST virginia. Not virginia. The proposed giant sign is a wise idea. If erected , it would definitely inspire many other sign makers & installers across our battered country to create similar warnings. West Virginia is surely one of the most glaring examples of the growing corporate realization that people ( aka: ‘residents’… ) are really just a damn hindrance anymore… anyway. They ( people … ) are certainly totally unnecessary for the brutally explosive transformation of what’s left of West Virginia into two sky high piles of toxic junk;…. one of rubble , the other of fossil fuel. The ‘old-school’ provision of drinking water to what used to be affectionately called the populace… uh… is now seen as a wasteful pastime, best forgotten. Something like drinking water only encourages them , you know… ‘them’ being the indigenous humans… and , of course, that’s a big no-no, now. I hope this helps to explain the white water. Days of Destruction, Days of Revolt – by Chris Hedges. Worthy read if this topic is of interest to you. Do we want our children and future generations exposed to these poisons in our water?